To understand the process of psychotherapeutic change, one must look for the answers in the psychotherapeutic process itself. This process involves the exchange of communications between two (or more) participants, and as a result of the exchange, modifications in the personality and behavior of the patient are expected to occur. But what is the nature of the therapeutic messages? How do they produce changes in the patient? What aspects of the messages are important for therapeutic change? And if the therapeutic force is somehow encoded in the messages, where shall we look for it- in sentence structure, in emotional overtones, in gestures and body movements? The Process of Psychotherapy is divided into two major parts, dealing respectively with method and with systems. In Part I, the author presents an analysis of psychotherapy process research from a communications perspective, developing an incisive and detailed analysis of the methodological issues that confront researchers in this field and suggesting theoretical and empirical strategies for addressing these issues. Part II provides the first exhaustive and detailed summary of extant psychotherapy process systems. The author first deals with direct systems, those procedures of content analysis or rating scales that have been developed to assess the exchanges between therapists and patients. Seventeen major direct process systems are presented in detail and are summarized with ample citations to the literature. 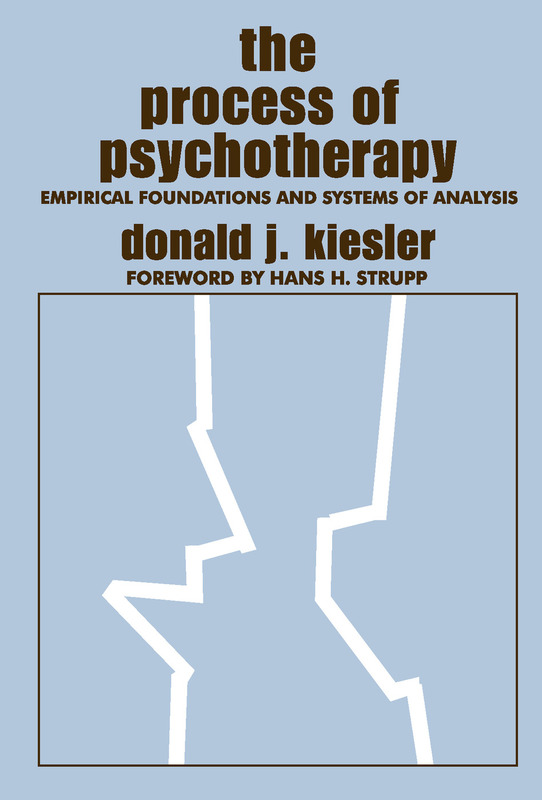 The final section of the book offers an exhaustive listing and concise description of various indirect measures of psychotherapy process, which do not assess the verbatim interview exchanges of the participants in therapy but rather assess the participants' perceptions via self-report or standard analogue procedures. This book is a basic, sophisticated, and exhaustive coverage of psychotherapy process and content analysis that will become the standard and authoritative source for anyone interested in the process of psychotherapy, whether as student, researcher, or practitioner.